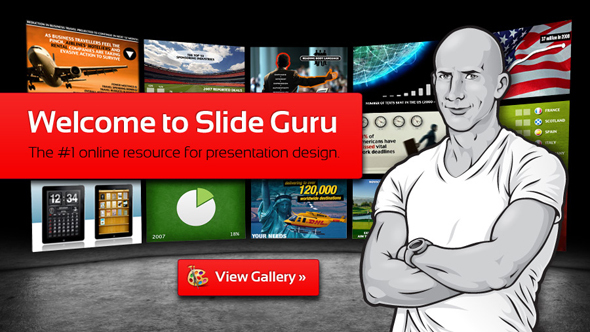 (NEW YORK, N.Y.) David Margolis, a Manhattan-based Presentation Design Specialist, has officially launched slideguru.com, a free website showcasing the world’s largest online presentation slide portfolio. Featuring a gallery of over one thousand professionally designed slides, Margolis illustrates the fundamental principles of presentation design and visual communication. The site also includes the Slide Guru Blog, which provides a variety of valuable resources for presenters and delivers practical guidance on how to design, develop and pitch winning presentations. “Most people in business are ill equipped to produce high quality presentations, as they lack a basic understanding of key design principles,” says Margolis, who hopes to raise industry standards by empowering viewers to create more effective slides and deliver more engaging slide shows. “PowerPoint has historically been used as a dumping ground for information. But with the advent of social media and the speed of online communication, presentations that feature endless lists of repetitive bullet points, gratuitous clip art and distracting backgrounds have become unacceptable,” says Margolis. With over ten years of industry experience working for corporations and institutions in sport, finance, advertising, telecoms and real estate, Margolis has mastered the art of combining dynamic imagery with powerful messages. 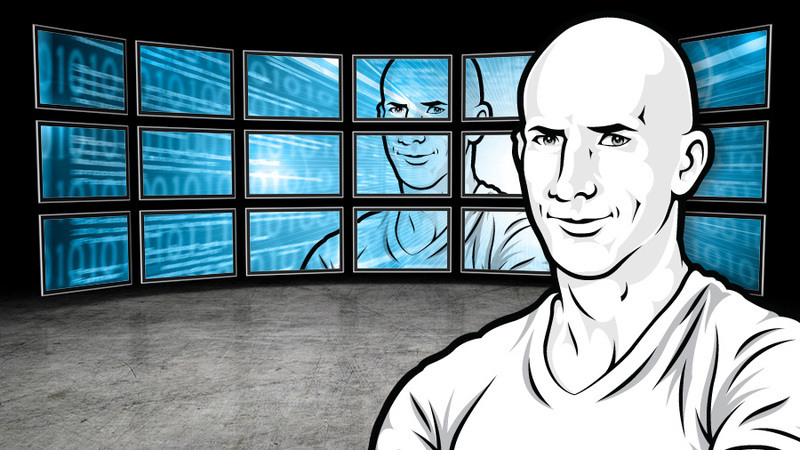 Margolis is optimistic about the global impact that slideguru.com will have and is excited about the future, with more video tutorials and animated slide shows planned for the site over next twelve months. Thanks for sharing superb informations. Your website is very cool. I’m impressed by the details that you have on this site. It reveals how nicely you understand this subject. Bookmarked this website page, will come back for extra articles. You, my friend, ROCK! I found simply the info I already searched everywhere and simply couldn’t come across. What a great website. I genuinely enjoy reading on this internet site , it has great content . Great content material, Really enjoyed reading through. I like this web site very much, Its a very nice office to read and obtain info. It is actually a nice and useful piece of information. I’m glad that you shared this helpful information with us. Please stay us informed like this. Thank you for sharing. Thnx so much for this! I have not been this moved by a post for quite some time! You’ve got it, whatever that means in blogging. Well, You’re certainly somebody that has something to say that people need to hear. Keep up the wonderful work. Keep on inspiring the people! I genuinely enjoy examining on this site, it contains fantastic blog posts. obviously like your website and I’ll definitely come again again. very good submit, i love this website! Your very own commitment to passing the message around appears to be astonishingly useful – so many useful tips and hints can mean so much a person like me and substantially more to my office workers. Thanks a ton; from everyone of us. Keep up the great piece of work, I read many of your posts and I believe your blog contains lots of great information. great site. . I am going to bookmark your web site and keep checking for new information. Thanks for sharing superb information. Your site is very cool. I’m impressed by the details that you have on this site. Good post. I learn something more difficult on completely different blogs everyday. Thanks for sharing. your site is really instructive! Keep on putting up. Amazing post I really like it!